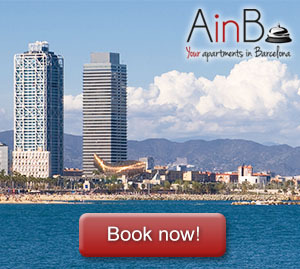 Barcelona is a metropolitan, great and vibrant city that has always something to offer you. People visit it all year round and are left with the best of impressions. The history, the architecture, the people, the sights, the natural reserves, the Ramblas, the food, the tapas, the neighborhoods, the parties, the people, the festivals and the fairs, all those are reasons people prefer Barcelona as their traveling destination. During spring, winter, autumn and summer with its beaches and extrovert people, Barcelona is always fun and interesting to be at. If you think that a visit to Barcelona is only about the city, the history, the monuments, the architecture, the people, the neighborhoods, the parties, the beach and the tapas, then you are mistaken. Barcelona has so many other things to offer to a visitor that wants to explore this great city. While many associate a good time in the Catalan capital with the city, did you know how popular the mountains of Barcelona are? The beauty of nature is all around us, as is the impressive architecture of man. However, few locations can match the booming, stand-out and truly beautiful mountains of Barcelona. If you come to the city and feel like you could maybe use a short detour to make the most of nature, then you should absolutely look to do so. Where, though, should your journey through nature begin here? As one of the most powerful and lasting forms of expression, music in Barcelona has become a major tool of the people. Many residents of Barcelona will spend their weekends enjoying music old and new, taking in various musical scenes across the city. As a city that is proud of its rich musical heritage, you’ll find all manner of innovative, exciting spaces to come and check out across the Barcelona music scene. From classic music to more modern takes, you’ll find that there is an opportunity for everyone to enjoy their music here in the city of Barcelona. As a city known for its creative edge, you might not be shocked to find that theatre in Barcelona is very popular. Like all of the arts, Barcelona finds a space for theatre fans to truly enjoy themselves. There are many places to visit and productions to enjoy though, so you should definitely look to check out some of the most popular theaters around. What, though, makes the theatre in Barcelona such a major part of the city? Where in history did the theater become such a prominent part of its culture and identity? Running in Barcelona: where can we jog? Jogging nowadays is an integral part of many people’s routine. Jogging aficionados cannot go even a day without running and are always on the lookout for new spots and places to exercise. Mainly it is an activity that has evolved around big urban centers with many people preferring parks, sport fields, beaches, waterfronts or other favorable places for this activity. Somebody once said that an indispensable part of travelling is getting to know other cultures, civilizations and ways of life. And we believe that there is no better way to experience that than tasting food and recipes pertaining to the places you travel. Every country has its own traditions and specialties that are worth tasting and that you cannot miss during your visit. One of the world’s most significant and important scientific fairs and exhibitions focusing on mobile technologies will take place this year in Barcelona. The famous Mobile World Congress (MWC for short) will begin at the 25th of February and last four days. It will be hosted at the Fira Gran Via venue with a variety of forums, discussions, conferences and workshops already planned. The organizing committee is estimating around 100,000 visitors and exhibitors to participate in this annual event. Many leaders and influencers flock in the city to view the new wonders in the technology field. Besides the food, the tapas, the museums, the rich history, the sights and the many parks and activities you can do there, Spain, Barcelona and the small town of Sitges are also known among tourists and locals alike for something else. Every year for a whole week, just before the beginning of Lent, more than 250,000 people flock to the town to enjoy one of the biggest carnivals in the world. Taking place usually around the beginning of February it hosts a huge variety of parties, parades, festivals and many colorful and fun costumes. What is the main reason to travel and visit another country or visit? For some is the local and traditional food and recipes, for others are the sights and the monuments while for some is to get a taste of the culture and a feel of how the locals live and breathe. For some though, an integral part of a visit to another place is the museums. Those aficionados will not miss any art, history or natural museum or any other museum for that matter.